After nine days on the road we had completed the Ring Road and were back in Reykjavik. What an epic journey full of amazing sights and wonders that it would take days to describe. Iceland is pure brilliance. 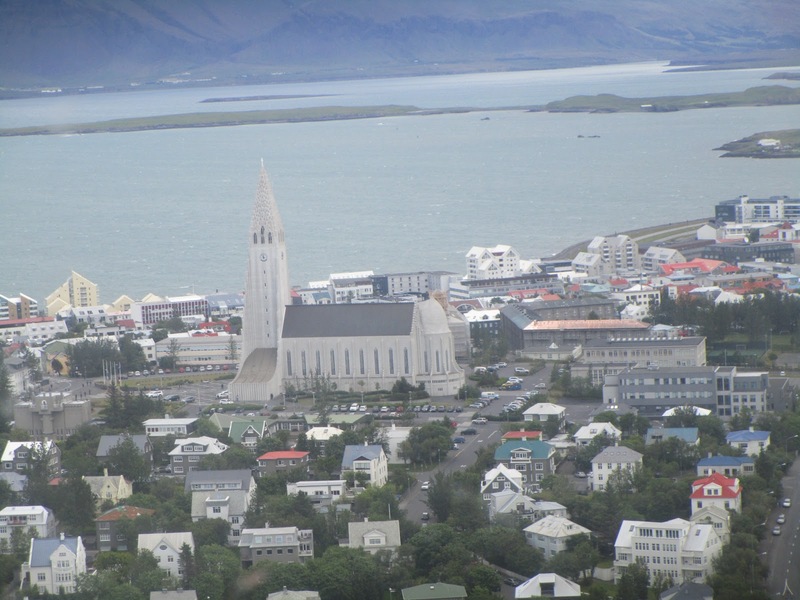 For the final two days of the stay we checked into our hotel and planned on taking advantage of some of the great tours available out of Reykjavik. 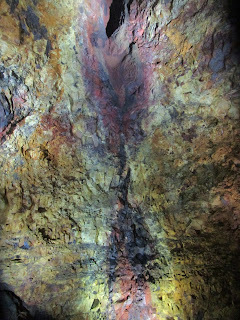 For our first day we were going Inside the Volcano! 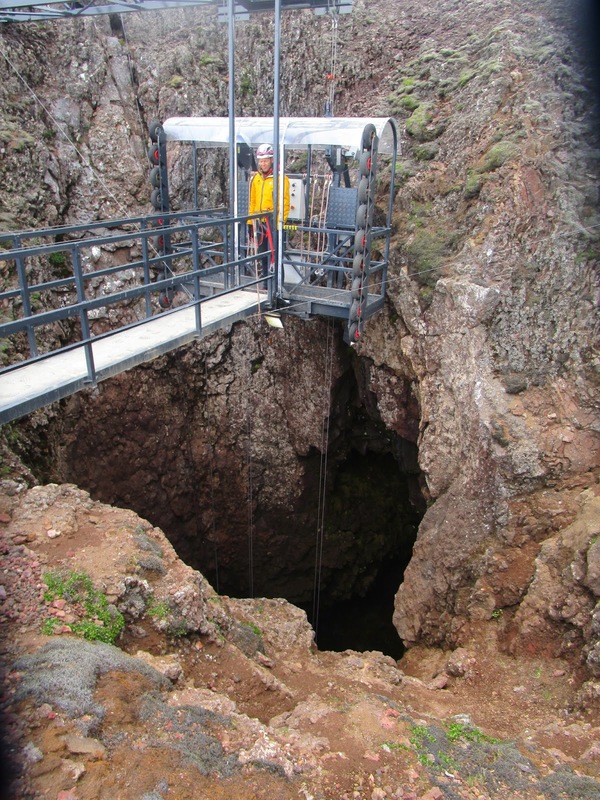 What could be a more true Iceland adventure than getting lowered 120 meters into a dormant volcano's magma chamber right? 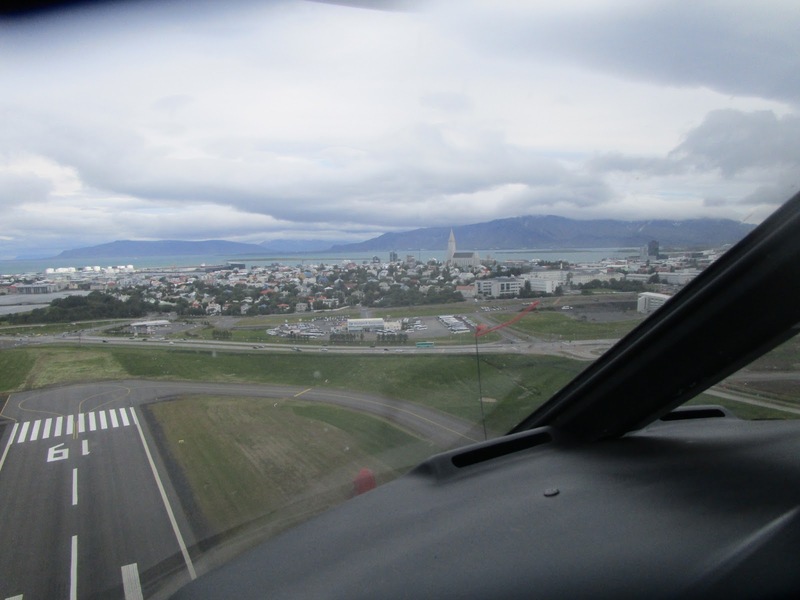 A helicopter was rented and waiting at the local domestic airport, but we awoke to very strong winds that morning. The helicopter trip was definitely in jeopardy. Upon arrival at the airport we were assured with "the pilot thinks he can make it". I was good with that! 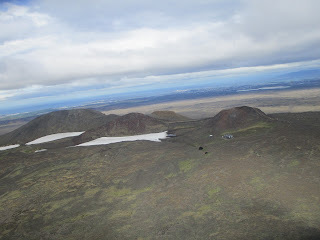 I was looking forward to a helicopter ride over Reykjavik and into the mountains. The weather was just barely agreeable it seemed. Into the Volcano also offers a hike in. You do not have to take a helicopter to get up there. 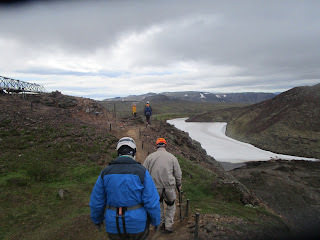 They will pick you up in town and drive within range of the volcano and then you can make a 3k hike to Thrihnukagigur. Landing at the sight it was very obvious we were in a remote area. 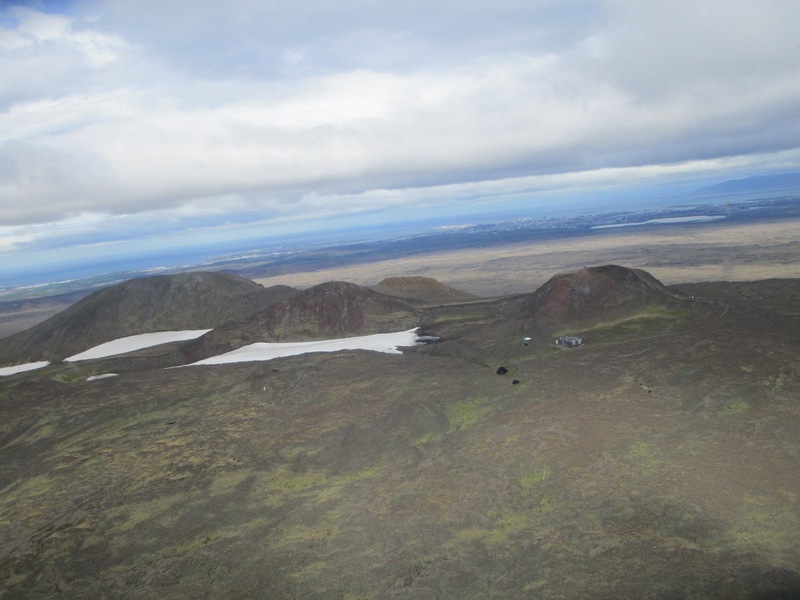 The volcano's cone rose above us about 50 meters and a small hut sat below. 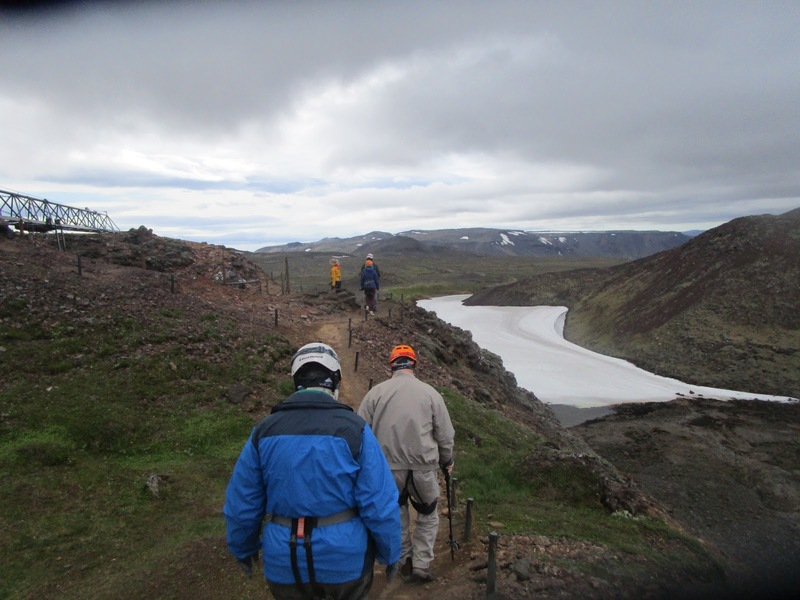 We were welcomed by the guide who shepherded us into the hut where we were instructed on what to expect, put our harnesses on and helmeted up. Soon enough it was time to go. 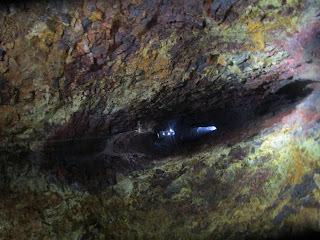 A short but steep hike to the top of the cone yielded the small opening that we would be dropping through. As you can see it was quite narrow. 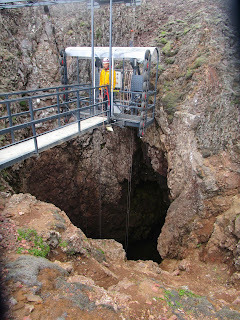 Basically a large crane was going to lower us all the way down to the bottom of the large magma chamber. 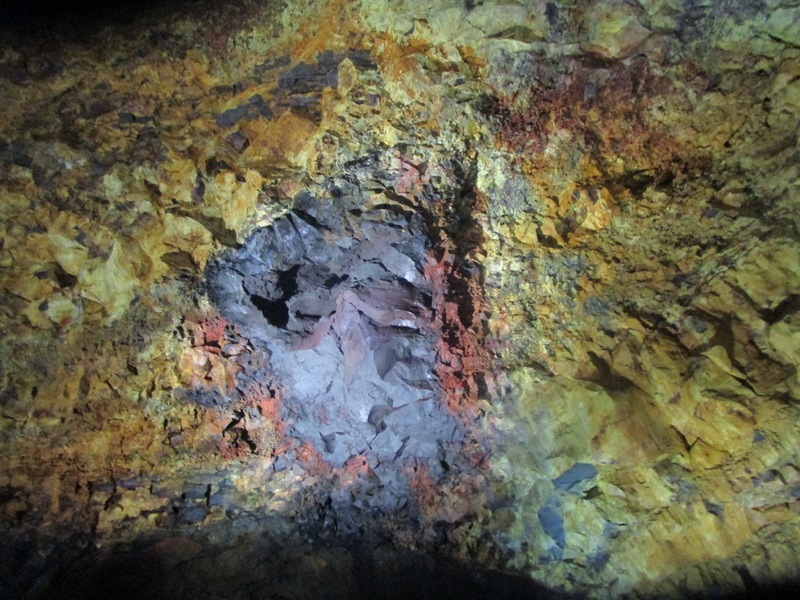 The magma chamber is so large you could fit the entire Statue of Liberty inside! Once the safety lines were attached to our harnesses the slow decent began. The initial opening is quite narrow but soon opens into a magma chamber in all its glory. 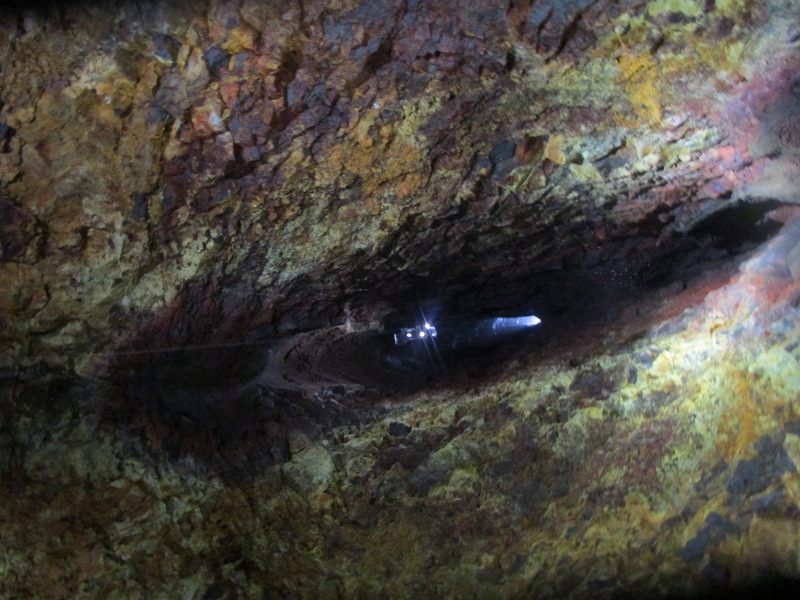 This experience is extremely rare as almost every volcano similar to this collapses into itself over time. 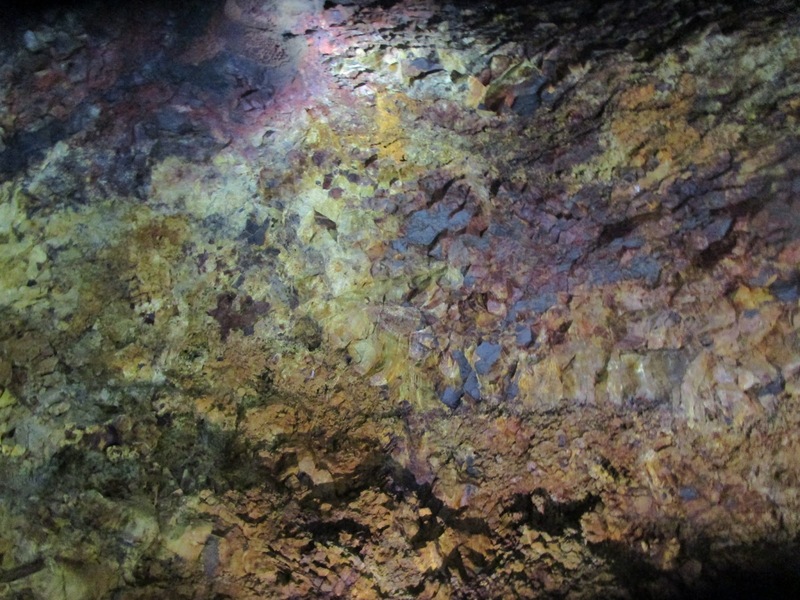 As you land at the bottom you are surrounded by brilliant colors and geological features in every direction. It can be a bit disorienting so you may need to sit down, but brilliant pictures await! Time inside is about forty minutes which is more than enough time to get all the pictures you want from Inside the Volcano. The rock dome has been scalded and charred, torn and ruptured. 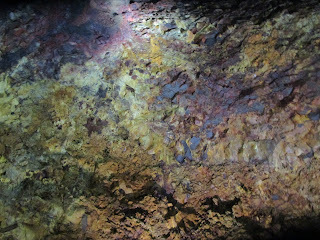 Magma, minerals and extreme temperatures have stained it a mishmash of reds, yellows and blacks. It looks like a child's drawing of hell, but somehow almost hypnotically beautiful. Before you know it your time has run out and up, up you go to the exit. 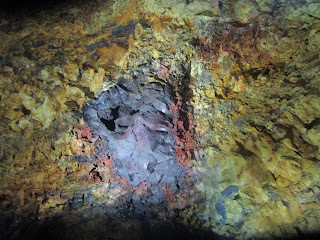 After hiking down the cone a wonderful cup of steaming hot soup awaits you inside the hut. There is also the cutest arctic wolf living on site who is more than happy to entertain while you warm up. Just look at this little fellow! Inside the Volcano is a real treat for all. Only 20k outside Reykjavik with minimal legwork involved. Your reward will be wonderful pictures and a wonderful story to share with all your friends!